I’m recommending a play on the Memphis Grizzlies minus the points on Wednesday night. Memphis had won and covered four straight before losing to Dallas last time out. Tonight, they’re catching the Toronto Raptors in a bit of a transition. The Raptors had been struggling before Dwayne Casey decided to bring Terrence Ross off the bench instead of starting the guard. Ross, after struggling for a few games, responded with 16 points on 7-of-12 shooting. But that was against a mediocre Milwaukee Bucks’ squad. The competition steps-up tonight and I don’t believe the Raptors will be able to sustain the one-game uptick. Mike Conley returned to the floor last time out and scored 22 points in 30 minutes of action against the Mavericks. He, Gasol, and Randolph “went off” against Toronto in this season’s first meeting, combining for 59 points and 40 rebounds, but lost the game. I expect big things from Beno Udrih in tonight’s matchup situation and I love the acquisition of Jeff Green, who gives the Grizzlies another weapon on the offensive end, averaging 14.8 ppg in his first few games with the club. Toronto is catching the Grizzlies off the loss to Dallas, a case of bad timing when you also factor in Conley’s second game back on the floor. Toronto is on a 2-8 ATS slide and they have dropped four in a row ATS against Western Conf opposition. 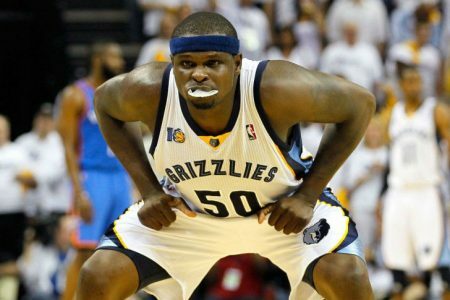 Meanwhile, the Grizzlies are “money” at home against teams with a winning road record, posting a current 47-22-1 ATS run in this spot. I’m recommending a play on Memphis minus the points on Wednesday. Scott Spreitzer slams the books with his CBB CONF TAPOUT GAME OF THE MONTH! Scott’s side is in a 100% winning spot (revealed inside) and matchup advantages to boot! Scott’s on a 34-22, 61% winning run with Tapout releases and this one has blowout potential written all over it! CRUSH the books with the GOM!